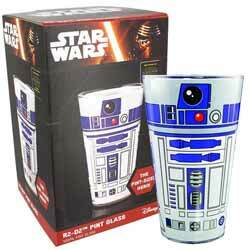 For Star Wars fans, this R2-D2 glass will make a pretty novel addition to your household. However, while in the USA it's sold as a pint glass, there's been a little confusion for European customers as the American pint is around 20% smaller than a European pint. So don't expect to pour yourself a pint of your favourite alcoholic beverage without it overflowing. While the majority of the UK online stores that stock this state that it's a pint glass, to be fair the actual packaging just labels it as a glass (ignore the image above that clearly states "Pint Glass" as this is the image used for the US market. 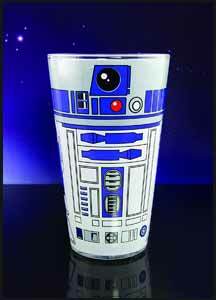 It's a pretty stylish glass that looks cool on the table at breakfast time (or any meal to be honest). It feels heavy and of good quality. In fact the only downside is that it is not dishwasher or microwave safe.